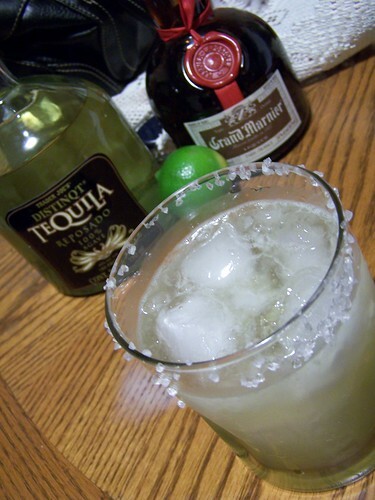 I am going to try the Grand Marnierita today. I started out looking for some other way to enjoy the bottle of Patron a friend recently insisted on spending mo'money on - versus 1800. Triple sec makes me get seriously sick with an indigestion pain in my chest - something that never happens to me even after the hardiest of foods, but that stuff puts me down! I hope this recipe offers up a smoother ride, because I'm gonna give it a go - soon! Thank you.